Lifeline Foundation aims to provide an environment where children are shaped into solution-finding and creative individuals. We gather underprivileged elementary students and help them master the basics of reading and math. 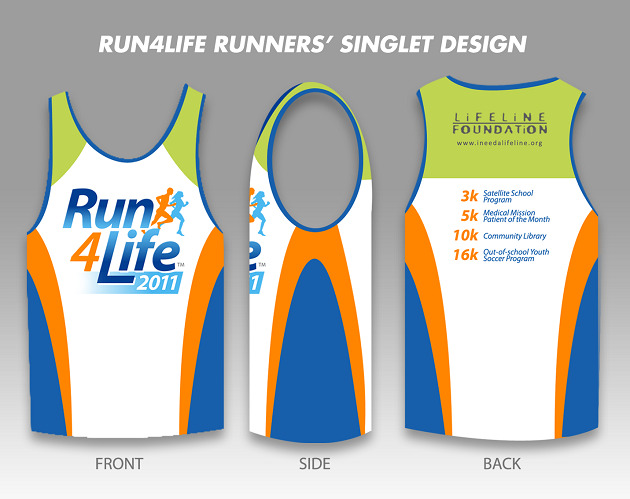 5 Write your name on the deposit slip and fax to 836-2514 or email it to run4life@ineedalifeline.org. A confirmation email with your race number will be emailed to you upon receipt of your deposit, please print this out and present when asked to receive your race kit. 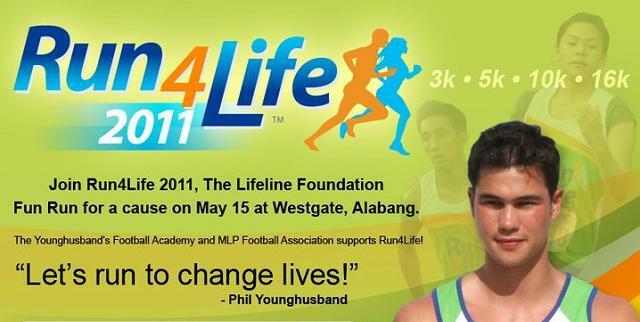 Run4Life is using is a revolutionary and proudly Philippine product from Runningmate.ph. It features real-time checking of runners time right on the finish line. 1 Will someone take my photograph and video? We have volunteers that will take photos and videos. 2 Are there other activities after the race? Yes, there will be a program that will be held after the run. Some sponsors will also have promotional activities on their respective booths. 3 What do we get after the run? a. You can still register without actually running, just by supporting the event. b. You can sponsor someone or a group (contact us for groups). c. You can be an event partner (contact us for sponsorship packages). Give Your Mom A Super Hug!